FERI & MASI: a barcode, the unequivocal code that leaves no room for error or misunderstanding. The Portuguese firm have chosen this as their logo, a distinctive and immediately recognisable mark of contemporary style, research and design. This personal approach lies at the basis of all the firm’s collections. But it’s Unique Coleção that stands out. 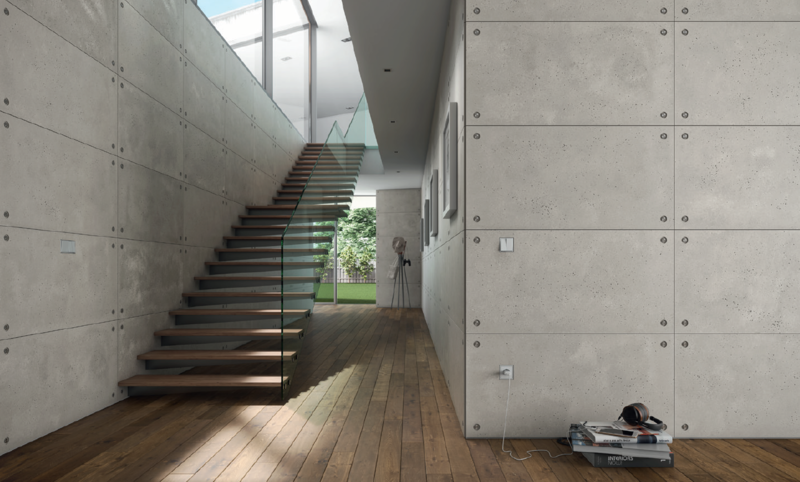 The surface of Beton, meanwhile, is a compact clay scattered with tiny perforations. 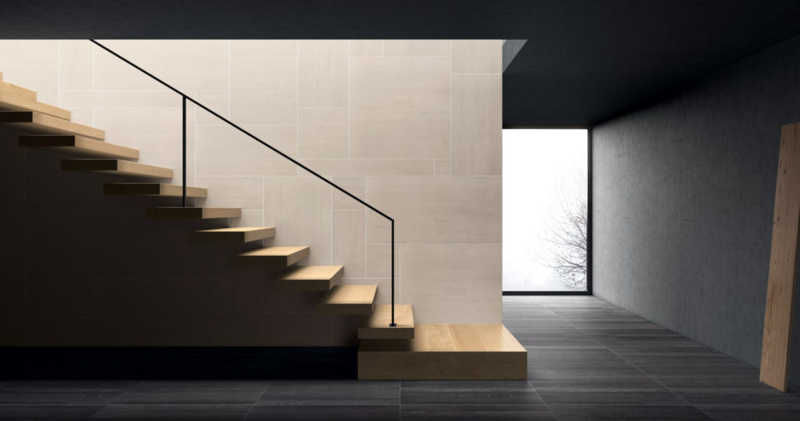 Unlike poured concrete, however, when you touch it you feel the smoothness, which never drags and allows the hand to slide easily. A practical mind springs immediately to its functionality and simple maintenance. The credit goes to the extremely fine grain of the particles, which are reduced to less than 150µm; also to the pressing, which exerts a force of 500 kg per square centimetre. 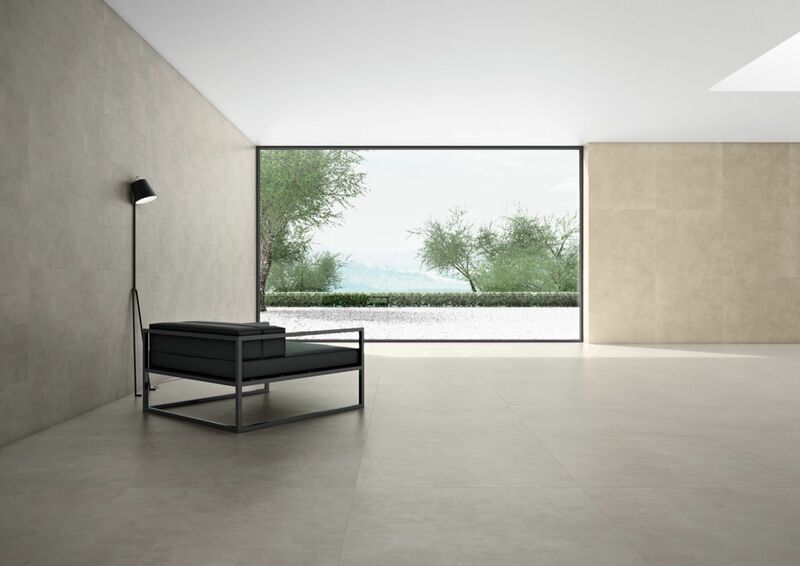 The firing at more than 1230°C ensures extreme resistance and is the ultimate cause of the micro-explosions on the surface which leave Beton with its distinctive little pits. The aesthetic height of Feri & Masi, however, is in the simple yet ingenious Unique Bs version. What’s the difference? A clever fixing system. 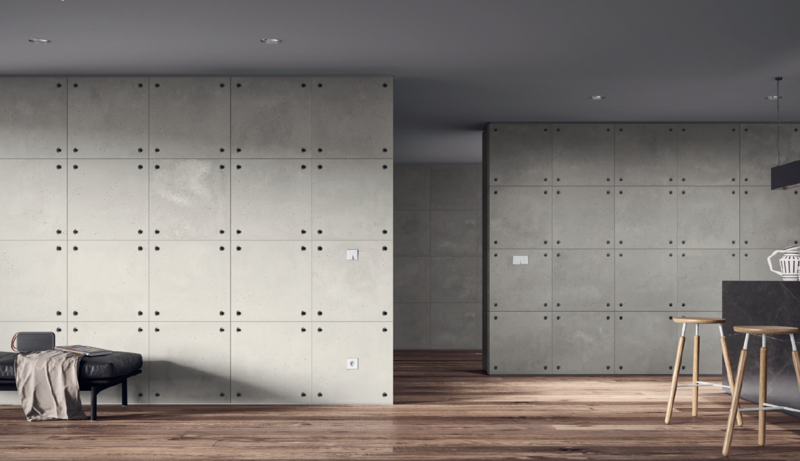 The slab is drilled in all four corners and can be anchored to the wall with a series of bolts, screws and plugs in steel or iron. 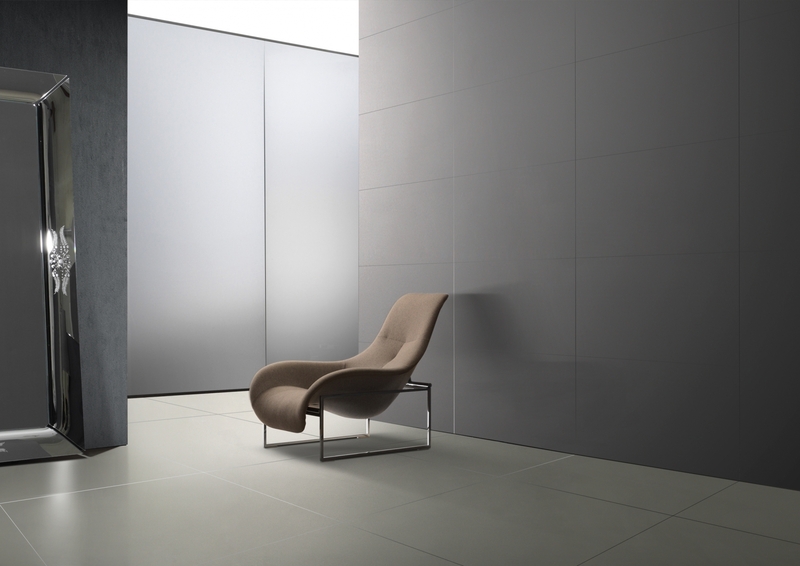 The resulting wall give the product rigour and personality. Feri & Masi choose contemporary colours which are metropolitan yet also combine well in other settings. 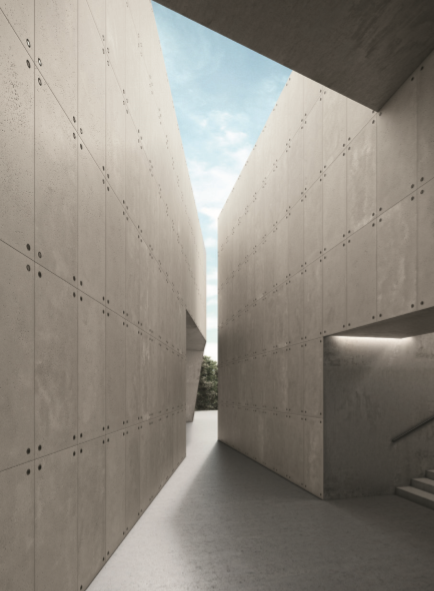 Native, the original shade of Beton. White, a bright pearl grey that nods at white. Black, in which the density of the colour never sacrifices the typical variation in the product. 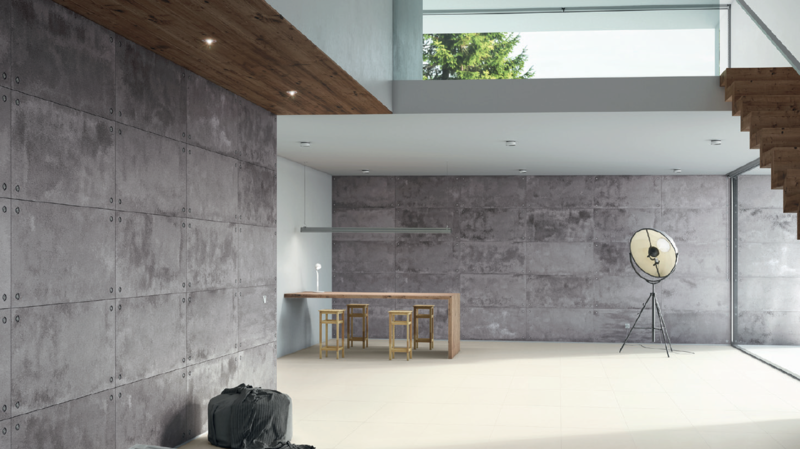 A glance at the other EVER collections is enough to discover a wide range of colours, always modern but more varied, in shades from warm to cooler and darker. Discover more at our showroom.